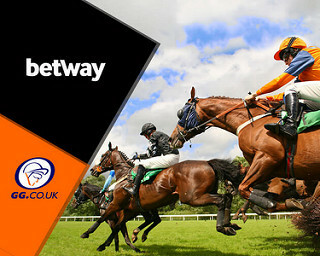 Betway are one of the top bookmakers around, offering superb enhancements, specials and free bet offers across their racing and sports markets, including their free to play 4 To Win competition, where punters can win up to £1000 free. Check out today’s free bet offer below. Betway offer an excellent free bet offer on Yankee’s placed by Friday 11th January. Simply place a Yankee to a minimum total stake of £11 and Betway will credit you with a £5 free bet to be used. Applies to minimum £1 win lines and 50p each-way lines or more. Total bet must be £11 or more. Free bet credited the next day by 11:00am, after bet is settled. 18+, Other T&C’s apply. Take Up This Free Bet Offer: Here! Click Here> To Join Betway Today And Get Up To £30 Free! To qualify for this great offer, simply sign-up and deposit a minimum of £10. Then stake up to £30 at odds of 3/4 or higher to claim a free bet matched to that stake.